Get up to 7 free auto shipping quotes from the largest, most trusted North Carolina auto transport companies and save up to 50% on your car shipping rates at CarMoves.com. Car shipping companies in North Carolina compete for your business, which is how you can save hundreds, if not thousands of dollars on car transport services by shopping with us. Whether you're shipping a car to North Carolina, across the country, or even overseas, we can help you get the best price on your shipment - guaranteed! Read more about the following auto transport companies in North Carolina before getting a quote. Click on the name of the company to read a full review. 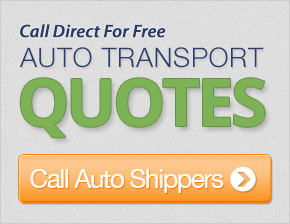 Get a free auto transport quote today to find out how much it costs to ship a car to or from North Carolina! 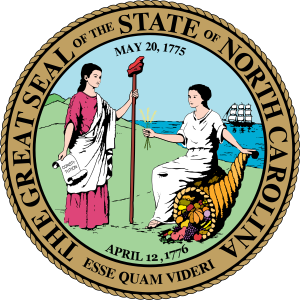 North Carolina is an average-sized state located in the southeastern United States. The landscape of the state is truly something to see: varying from the largely uninhabited coastal plains areas, a lengthy stretch of flatland that is frequently utilized by farmers for its fertile soil. As a result, there is a significant amount of hunting possibilities for the region, as game animals thrive in the vegetation-rich environment. The Piedmont plateau, on the other hand, is the region just beyond the coastal plains that contains the majority of the state's population. Finally, the western edge of the state is enshrouded by the presence of the Great Smoky Mountains and other mountains in the Appalachian Mountain range. The two largest cities in North Carolina, Charlotte and Raleigh, occupy opposite ends of the Piedmont plateau. However, both cities are comparable in terms of housing a modern urban center that continues to grow in terms of population in double digits each decade. Raleigh, the state capital, is part of the so-called Research Triangle, an area that encompasses several well regarded universities, such as North Carolina State University. As a result, Raleigh residents have been determined to be the third most educated population in the country by the number of college degrees they hold. Charlotte, on the other hand, is the banking capital of the state, and one of the premier locales for banking in the entire country. The University of North Carolina at Charlotte is, somewhat resultantly, commonly known for its business and economics programs. Surprisingly, North Carolina's major cities compare quite favorable to other larger East Coast cities, including New York City and Boston. The competitive business and education markets, extremely urban and extremely rural areas, and plentiful state park system certainly invites comparison to the state of New York. However, North Carolina offers a distinctly Southern experience with its barbecued food, the prominence of NASCAR, and the majestic Blue Ridge Mountain range. CarMoves.com works with car shipping companies throughout the state of North Carolina. We can help you get the best prices on car transport services to the following cities in North Carolina: Charlotte, Raleigh, Greensboro, Winston-Salem, Durham, Fayetteville, Cary, Wilmington, High Point and many more. If you don't see your city listed, don't worry - we can get your vehicle shipped anywhere in North Carolina. Scroll to the quote section on this page to compare free auto shipping quotes from up to 7 North Carolina auto transport companies and save up to 50% on your move! View the North Carolina Department of Transportation website for more information.